Ramp up your new sales hires with universal ease. 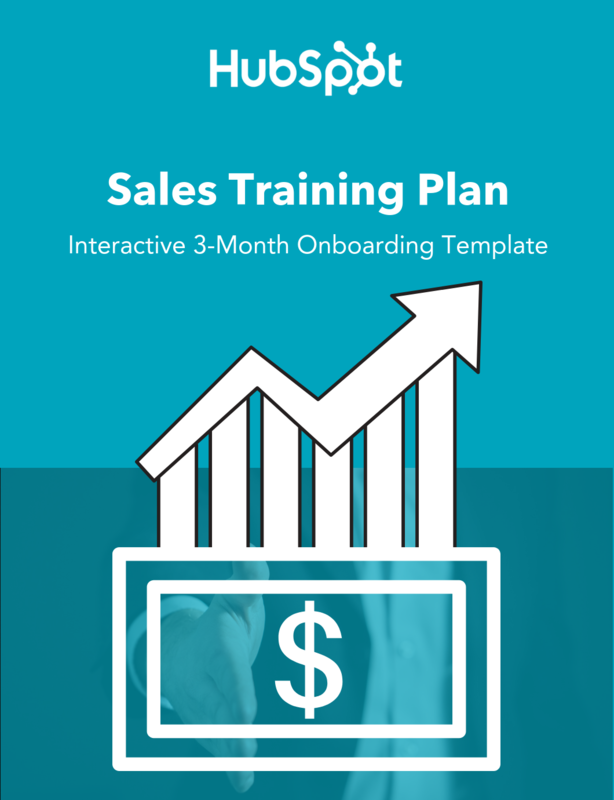 Use this template to set up a 30/60/90 day sales training and onboarding plan. 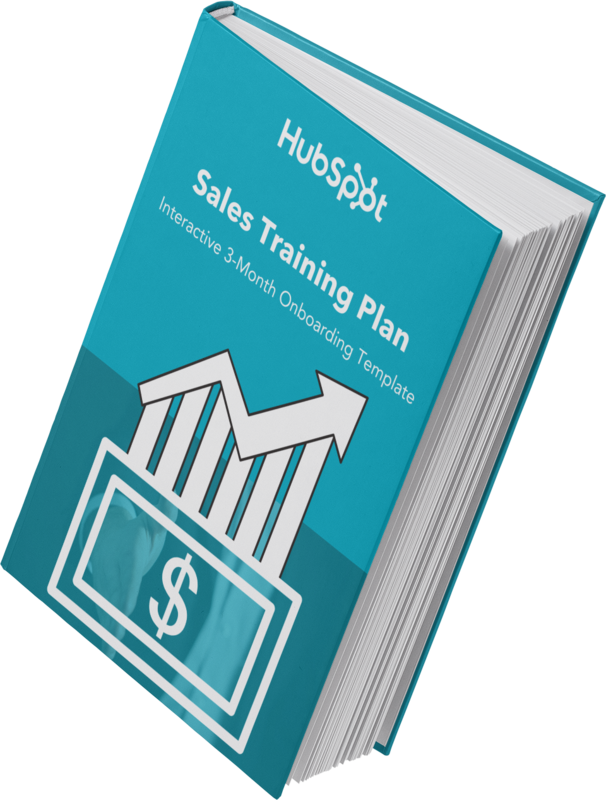 Sales training sets your company up for success. There is a 34% turnover rate in the sales world, which creates an enormous strain on companies looking to scale their sales program. 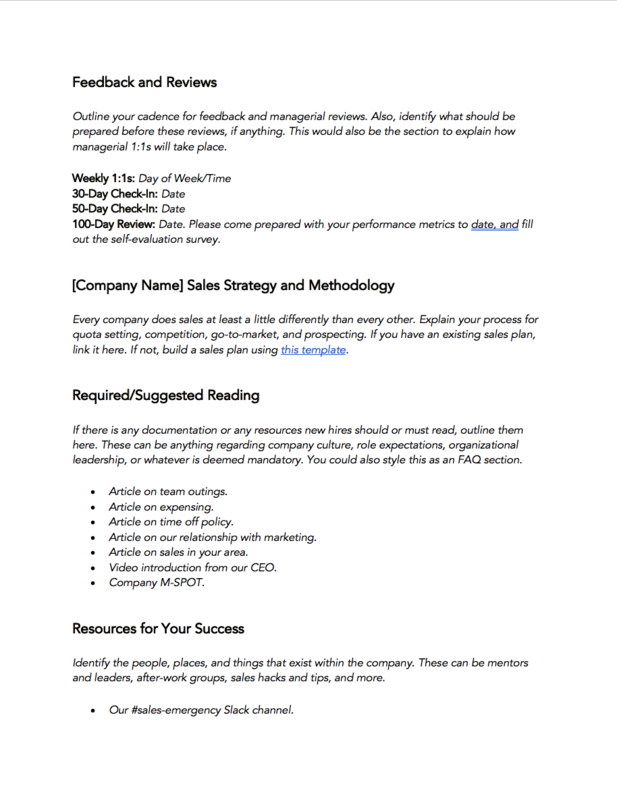 Since sales is the frontline of most companies, this is something your business should proactively prepare for. Unfortunately, 71% of companies take 6+ months to fully onboard a sales rep, which is a serious impediment to potential sales growth. A streamlined, repeatable sales onboarding process can help ramp reps up faster and more effectively. 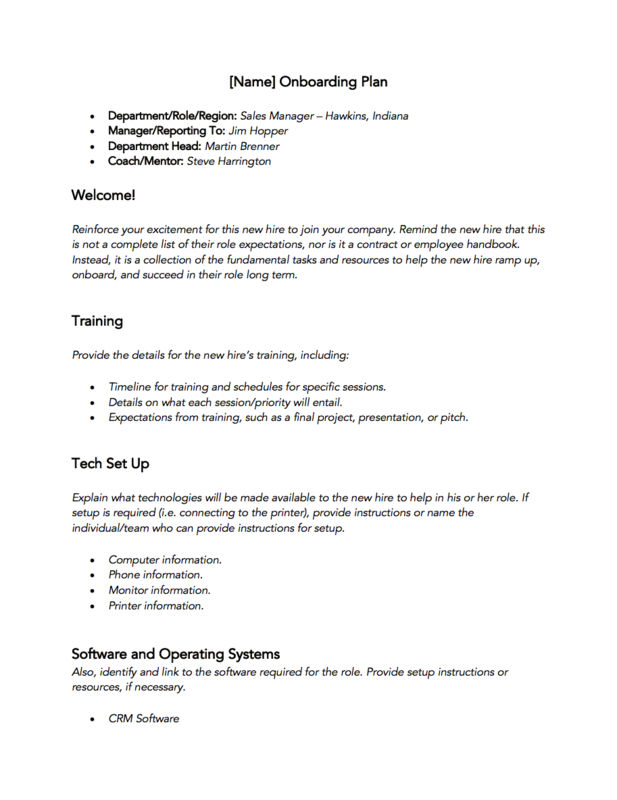 Download this free sales onboarding template to create your own sales training outline for new hires. 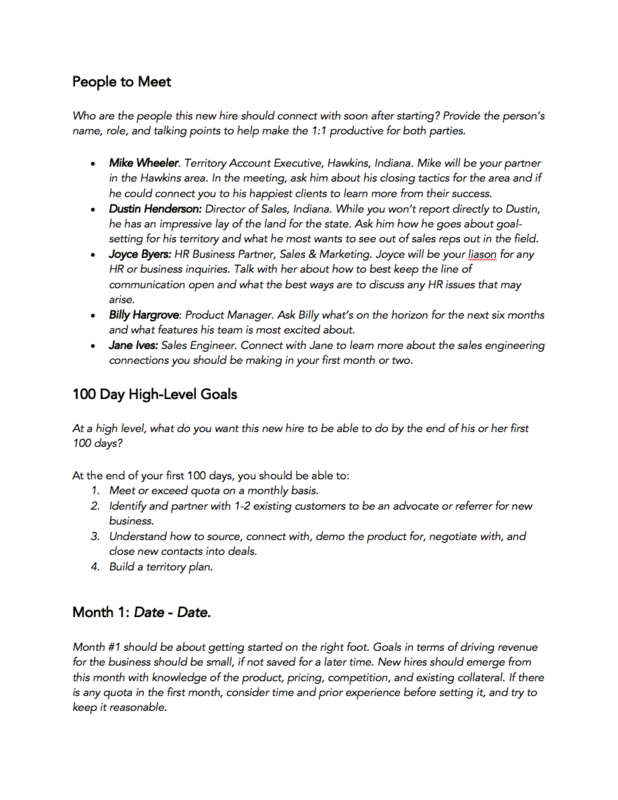 Creating a universal 100-day sales training plan can help launch your salespeople into more immediate success and close more deals faster.